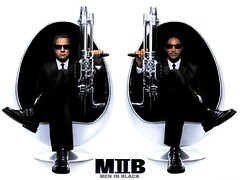 Columbia Pictures announced that Men in Black 3 will be released in 3D on May 25, 2012. Walter F. Parkes and Laurie MacDonald are returning to produce and Barry Sonnenfeld, who directed the first two installments of the blockbuster franchise, will direct the film from a screenplay written by Etan Cohen, based on the comic book by Lowell Cunningham. Steven Spielberg is set to executive produce. Deals are set for Will Smith and Tommy Lee Jones to reprise their roles as Agents Jay and Kay. Josh Brolin is also in talks to star as a young Agent Kay. We will have an incredible new 3D adventure for the Men in Black. Funny digital aliens in 3D, they have to be great. The first two Men in Black films, which were released in 1997 and 2002, went on to become two of the most successful films in Columbia Pictures history, taking in more than $1 billion combined worldwide. The first film in the franchise won an Academy Award for Best Makeup and was nominated for two other Oscars.